There’s never been a better time to work on your own health and fitness. Just a few decades ago, training was the reserve of sportspeople. Exercise wasn’t something normal people did. Then the workout revolution exploded, and the gym generation was born. These days, wellness and healthy living is part of everyday conversation. You don’t need to have a specific sporty goal to work on your own fitness. In many ways, it’s more impressive to train and eat well without public praise or recognition. If you nail your healthy habits every day simply to be fitter for life, our hats are off to you. You might never get a half-marathon medal placed round your neck, or stand on stage in a bodybuilding show. But you’ll have the ultimate accolade of staying strong, agile, and able well into later life. And that’s the best prize of all. Check out the 7 best natural supplements to maximise your healthy living lifestyle. Oily fish is nature’s best source of omega 3 fatty acids, which have been linked to a host of health benefits. Be honest, do you really eat oily fish several times a week? If not, then a quality fish oil supplement (or a vegan omega 3 supplement) will give you all of the benefits without the calories of the fish. Omega 3 fatty acids consist of EPA and DHA (Eicosapentaenoic Acid and Docosahexaenoic Acid) which benefit the cardiovascular system, heart health, blood pressure, good cholesterol, brain health and the endocrine (hormone) system. Taking a daily quality fish oil supplement is one of the best things you can do for your health and wellbeing. Even if your diet is packed with vegetables, salads, and leafy greens you could benefit from a top quality greens powder. Greens supplements are much more than just your daily serving of veg. A good greens powder is like a multivitamin, fibre supplement, antioxidants, digestive support, and superfoods in one product. Greens powders can be used daily, during really busy times, or over winter to give your immune system some support. Look for a greens powder with a clear ingredients list, dosages, and no unnecessary extras like sugars, fillers, or thickeners. Extra points if your greens supplement contains foods difficult to get from your regular diet, like spirulina, ginseng, grasses, and herbs. Protein powder might have a strong association with beefed up bodybuilders, but the truth is it has lifestyle benefits for everyone. Popular whey protein powder is just a powdered form of protein. There’s no magic to it, and it’s certainly nothing strange. Protein powder is a very convenient, cost effective way to get more protein into your diet. It’s not always convenient to crack open a tin of tuna or chow down on a chicken breast. Protein powder is real food, just powdered down into a more convenient form. And it’s so user-friendly. You can easily mix it with water and drink it as a protein shake on-the-go. But why stop there? You can mix our CNP protein powder into oats for a protein-packed porridge. Add it to baking recipes like muffins, protein flapjacks, or pancakes. You can even create tasty protein mug cakes! And we promise it won’t build muscle overnight. It’s just protein – and we all need to get enough of that every day. Creatine is a natural compound that already exists in our bodies. So why take a creatine supplement? Creatine is the single most well-researched supplement of all time, and all the studies show creatine benefits the improvement of strength, wellness, and general fitness. The best creatine supports short term bursts of intense exercise, and may have benefits for the joints and bones. Creatine tablets and powders are cheap, easy to take every day, and used by active people the world over. If you ask us, it’s a no brainer if your goal is all-round health and wellness. Did you know that our bodies can only make Vitamin D when we expose enough of our skin to sunlight? That’s challenging in our UK climate (even in Summer!) It’s even known as the “Sunshine Vitamin”. So supplementing with a quality Vitamin D supplement covers all of your bases and keeps levels of this important vitamin topped up. Vitamin D has been shown to support immune function, help maintain strong bones, and may even help balance mood. If you work indoors, don’t get much sunlight, or stay well covered up when you do go out, then you are probably vitamin D deficient. Take a simple daily Vitamin D supplement – job done. Multivitamin and mineral supplements have come a long way since the generic tablets of a few years ago. Get a good quality multivitamin and you’ll cover off your RDA of vitamins, minerals, and micronutrients. Even the best healthy diet can leave you lacking in some key vitamins. A daily multivitamin is such a simple way to support your health, immune system, skin, bones, and cells leaving you free to focus on healthy eating and regular exercise. This mineral is crucial for a host of physical functions including hydration, cell health, muscle contraction, and nerve function. But it’s easy to be deficient, because we lose magnesium all the time (especially when we sweat). Lack of magnesium can lead to painful cramps, muscle weakness, and electrolyte imbalance. Taking magnesium supplements – either by itself or as part of a vitamin and mineral supplement – helps you stay on top of this key nutrient. 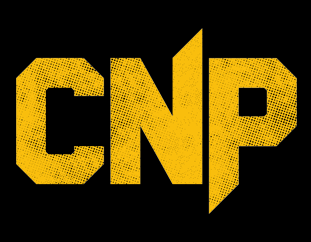 Support your fitness and wellbeing with tried-and-tested CNP workout supplements for a healthy lifestyle.